SHE was alleged to have spent millions on designer goods after her bank accidentally gave her an unlimited overdraft in a “big, fat error”. But all charges have now been dropped. A STUDENT who was alleged to have spent $4.6 million on designer goods — after the bank accidentally gave her an unlimited overdraft — has had all her charges dropped. 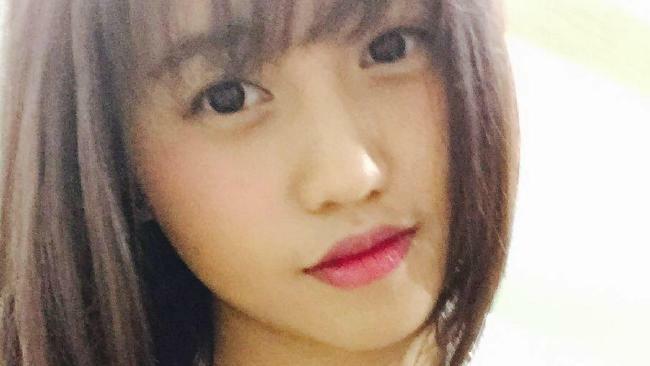 It was alleged Christine Jiaxin Lee, a 21-year-old Malaysian resident who is studying at Sydney University, realised she had an unlimited overdraft in July 2014 and then went on a multimillion-dollar spending spree for 11 months. Prosecutors said her extravagant purchases included designer handbags, clothes, jewellery, mobile phones and a vacuum cleaner. She was alleged to have stocked up on Hermes, Chanel and Dior products before her bank, Westpac, caught on. However, prosecutors dropped charges against the chemical engineering student after a similar case involving a man charged with fraud for withdrawing $2.1 million from ATMs was thrown out of court. Her lawyer told Hugo Aston told the Daily Telegraph Lee would be moving back to Malaysia following the outcome of the case. “She is happy it is behind her, and to move on with her life,” he told the newspaper. “It’s a very interesting case, and an interesting outcome. It is unclear whether the seized items will be returned to the student. The error was picked up by the bank in April 2015 and a senior manager phoned Lee, demanding she explain where the missing millions were. She previously claimed she believed the money had been transferred into her account by her parents. When she found out police were trying to contact her about the money, Lee is understood to have arranged for herself to be granted an emergency Malaysian passport. Prosecutors alleged she did this so she could leave the country undetected. Lee was arrested in May 2015 at Sydney’s Kingsford Smith Airport when she tried to board a flight to Malaysia. Senior banking officials told the Daily Telegraphthe bungle was a “big, fat banking error”. They admitted they were forced to track down more than $1.3 million Lee allegedly hid in multiple private accounts. A Westpac spokesman said: “Westpac has taken all possible steps to recover its funds, including taking civil action against Ms Lee.